Hi, Connie here with a couple of Fall cards using pieces from the October Club Q Kits. 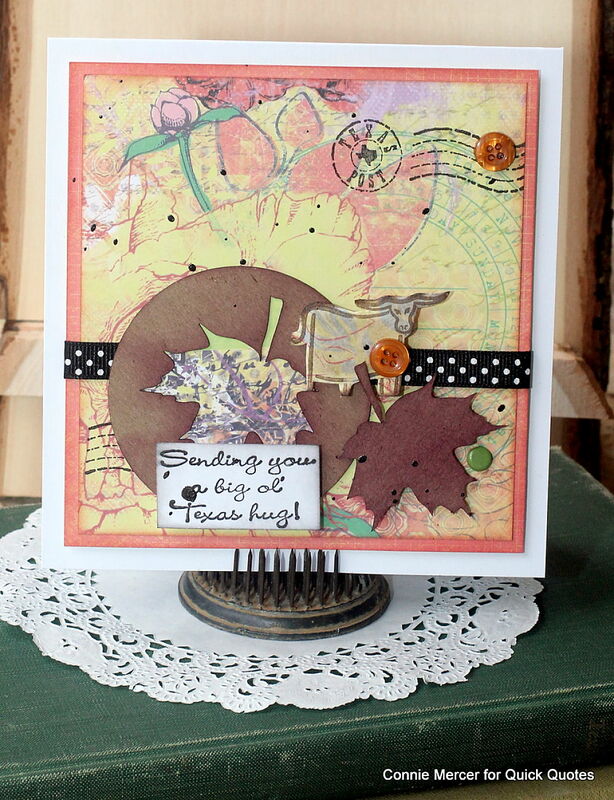 The paper used is from the new Sonata Collection and it is gorgeous. Love the yellow, orange/marmalade colors mixed together. Lovely Fall mix!!! 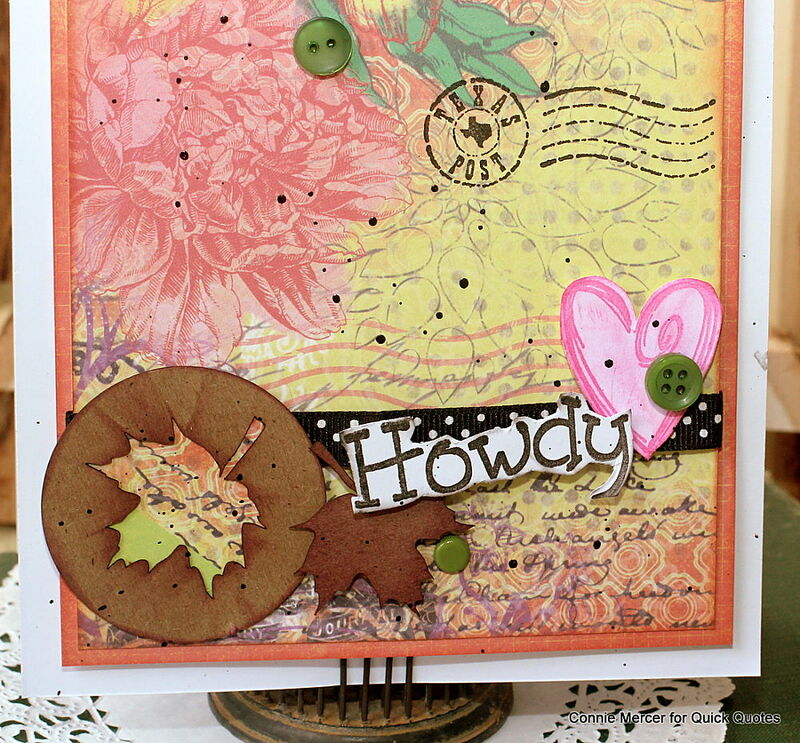 The chipboard pieces were colored with Quick Quotes PowderPuff Chalk inks. Works so well. You can determine how much color you want, to add, by shading with the ink or applying until you get the desired richness of color. 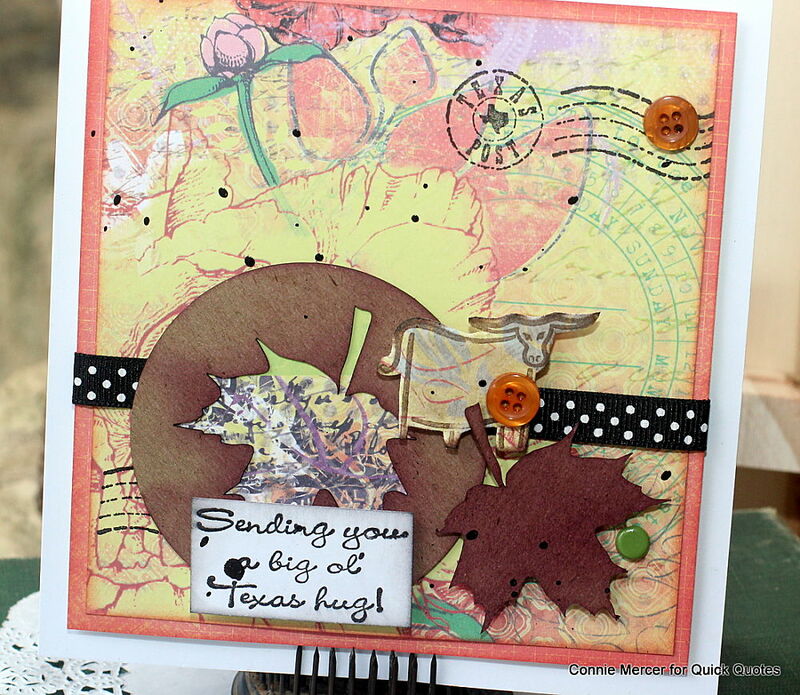 I also stamped with some of my exclusive to Texas stamps along with Quick Quotes PowderPuff Chalk ink. 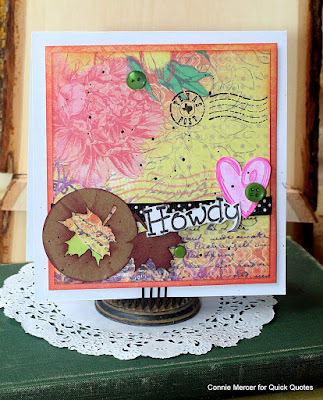 The inks stamp beautifully! Another version using the same supplies.